A modern languages graduate living in Manchester. One of the dancers does the rounds as diners enjoy the buffet. With people the nation over penny pinching and tightening budgets, spending money on meals out is increasingly becoming an indulgent luxury. For this reason, when we do choose to do so, we need the experience to be that extra bit special and undoubtedly memorable. We all know and love our customary favourites, but what if we want to try somewhere new, safe in the knowledge that it will live up to our expectations? With two sites in Manchester and one in Liverpool, Bem Brasil does just that. Let us take the site just off Deansgate in Manchester as an example. With an intimate dining area on the ground floor and a more extensive section upstairs, the restaurant is ideal for both a romantic meal for two and a lively party for twenty. The Bem Brasil restaurants, as the name would suggest, bring the tastes, colours and vivaciousness of Brazil to a dreary evening in the UK. While we are usually forced to compromise between quality and quantity, in this instance this could not be further from the truth. With an extensive buffet, the all-you-can-eat service concept means that no tummy leaves dissatisfied. Once you have loaded up your plate with traditional feijoada, rice and vegetables from the buffet, passadores bring an array of freshly cooked meat from the 5m long BBQ directly to your table where they expertly carve from the various cuts straight onto your plate. With everything from chilli chicken and garlic beef through to sirloin steak and cinnamon pineapple, the BBQ alone adds that distinctive touch. After all, what could be more wonderful than all-you-can-eat steak? Aside from the food, Bem Brasil is an excellent drinking hole, especially for cocktails with the Deansgate site boasting an extremely impressive Cachaçaria named Viva Brasil on the ground floor. Shaking up all sorts from mojito classics through to Brazilian caipirinhas, with regular live music and Carnival night on the last Thursday of every month complete with scantily clad Brazilian dancers, the atmosphere in this charmingly authentic steakhouse is truly second to none. 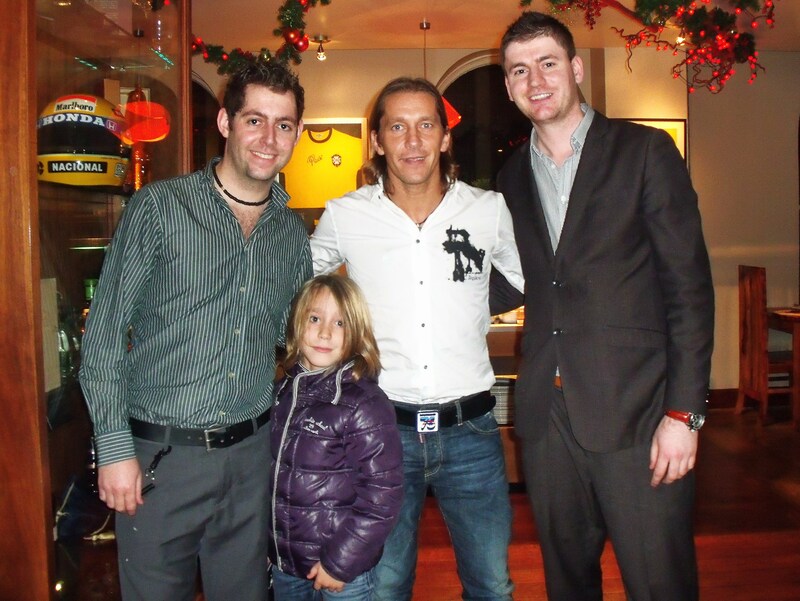 Just ask David Haye, Miguel Salgado, Mark Chilton or one of the other many celebrities who have dined here. With 241 cocktails from Sunday to Thursday, combined with the happy hour on food, Bem Brasil doesn't need to break the bank – even if the evening prices are a touch on the dear side. From the moment you walk through the door and are greeted by the friendly Front of House staff through to rolling out having eaten the weight of a small bungalow in Brazilian cuisine, Bem Brasil really is an utter delight and well worth a visit or five. Why? Get yourself a Brazilian in the heart of Manchester.